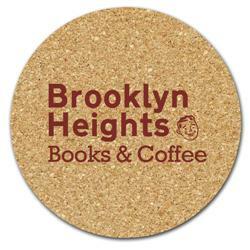 Our Custom Round Cork Coasters - now at a special price. Made From All Natural Cork. 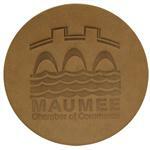 1/8” Thick Absorbent and Durable - 4 inch diameter. Low Budget – High Exposure. Bulk packed. Custom shapes available - please inquire. Typical Imprint Area(s): 2.75 inch diameter. For a second color, (minimum 500 pcs.) 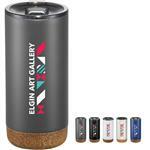 or 2nd side imprint Add $0.14 per piece plus the applicable Set up charge. Bulk Packaged. Full color available with extra run charge. 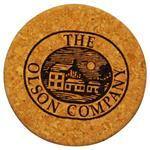 Coaster set packaging available - Inquire. 6 pounds per 500 pieces.